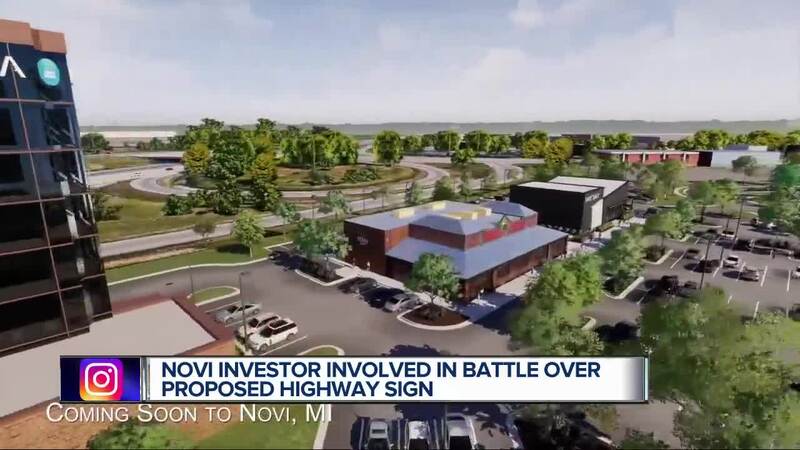 The investor behind a Novi development is involved in a battle with MDOT over a highway sign on I-94. NOVI, Mich. (WXYZ) — For years you may have noticed the Adell Center Water Tower as you drive down I-96 at Novi Road. Now construction crews have broken ground on the Adell Center entertainment and retail center. The owner of the Adell Center is Kevin Adell, a metro-Detroit media entrepreneur who owns The Word Network, WADL-TV and 910AM. He is now using the power of media to attempt to get a sign along I-96. A television ad that will be airing in Lansing at first appears to promote the Adell Center, but then instead turns into an attack on MDOT for not allowing a sign. “We weren’t looking for a fight. We were looking for a sign,” said Mort Meisner, the media spokesperson for Adell. He says when he reached out to MDOT to request a sign on I-96 he was told MDOT would not approve a larger tourism sign. He would likely instead only be allowed a small sign, such as the ones you typically see advertising restaurants and gas stations. People in Novi have varied responses to the message of the ad. Some think it amounts to a rich person’s temper tantrum. The manager of Size Up Supplements said he understands the desire to “size up” a sign. “He has to get the bigger sign. It is all about size to show off, you know,” said Jimmy Glenn, the manager of Size Up Supplements. So how does MDOT size up this situation? It says basically a big deal is being made about small talk. It released a statement saying while an employee had a casual conversation about when signs are approved, “At this point, MDOT has not received an application for a new road sign on I-96 for the Adell Center. So, a new sign has neither been denied nor approved.”. Meisner said it is true no application was submitted. The reason is they were told specifically it would not be approved.